Some were firemen, some were farmers, and some were fishing guides. They came so willingly and worked so hard and vanished so quickly that nobody really had a chance to thank them. Were it not for the heroes of the Cajun Navy and the bravery of first responders, many more might have died in the devastating flood that ravaged south Louisiana. Now, our community needs to honor them, and you can help us do just that. We want to hear about your rescue and, if you have it, learn the rescuer's name and see a photo. 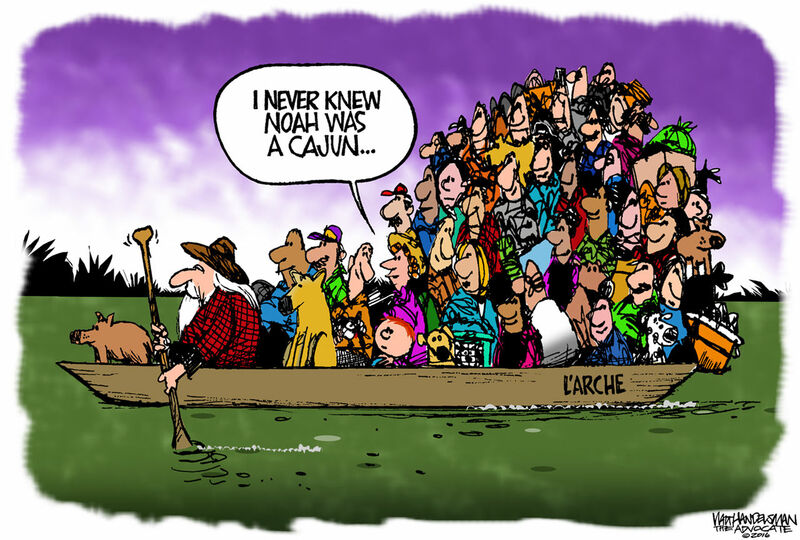 Nominate your hero by filling out the form below, emailing us at features@theadvocate.com, or sending a letter to Cajun Navy Heroes, The Advocate Eat Play Live, 10705 Rieger Road, Baton Rouge, LA 70809. Please include your full name, city of residence and a contact email or phone number. We will collect and publish your stories and hold an event to honor these brave men and women. Deadline to submit a nomination is Sunday, Sept. 11. Please provide your contact information so we can follow up on your hero submission. Please tell us about your hero. Give as much information as you have but if you don't know it all, that is ok. If there is more than one Hero, put additional names in the field labeled, additional hero's names.